MILAN – hot issue in the transfer market. Two teams from Milan now scrambling signature Gareth Bale. AC Milan and Inter Milan are equally attracted to the appearance of Bale. Tottenham Hotspur players lately it was rising, especially after scoring a hat trick in the Champions League stage. Reportedly Tuttomercato, Tuesday (10/26/2010) Milan duo touted already intense approach to the Spurs. They wanted to quickly bring the young star from Wales. Bale himself is still binding contract until 2014. In addition, the Lilywhites also had to sign with the price reached 30 million euros. Not yet known whether both agreed terms given the Spurs. What is clear in addition to those still there are some parties who are also eager to Bale, ie, Juventus, Chelsea, Manchester City and Manchester United. Tag:Champions League, FC Copenhagen, goals, Lionel Messi, performance, Soccernet statistics. Copenhagen – only be one point behind Barcelona’s obviously quite shocking to FC Copenhagen. Now other surprises will be sought, namely beat Barca’s Lionel Messi way into the area displacing the flank. Through three games, led Barcelona Group D standings with seven points, followed by Copenhagen in second position with six points. Rubin Kazan in the top three with two points while Panathinaikos’s new caretaker had one digit. Thus the party Matchday 4 in the Parken Stadium on Wednesday (11/03/2010) pm dawn, between Copenhagen cons Barca will be a party to determine the league leaders. For Copenhagen, definitely not an easy matter to win or just a draw against Barca though this time it will play at home. 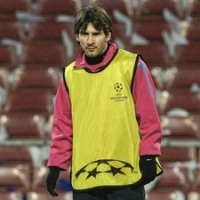 The main threat will undoubtedly come from the mainstay of the visitors, Lionel Messi. At the meeting the two teams earlier in Matchday 3, Messi proved a scourge to the Copenhagen goal by buying goals during Barca’s 2-0 win. The Argentine was also good performance with each pack of two goals in his last two games for Barca in the Champions league. Including Copenhagen, Messi is already three successive matches could make each of the two goals into the opponent’s goal, as noted Soccernet statistics. London – Inter Milan will qualify for the last 16 if it can beat Tottenham Hotspur. More than that makes sure ticket to the knockout phase of long days to make the Nerazzurri can save energy for the Club World Championship. 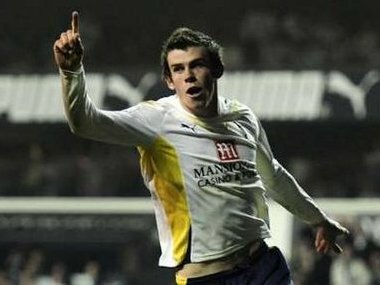 With already collecting seven points, Inter will ensure that qualified for the last 16 if can win three points when a visit to Nottingham Hotspur on Wednesday (11/03/2010) night. To secure the status of group winners, the Nerazzurri had to wait for the next Matchday. But for Rafael Benitez, sealing a place in round perdelapanfinal while satisfying enough. With already qualified for the last 16, Inter obviously do not have to insist on two games remaining. It can be used to save power player especially considering there is a long-wheel competition and tight schedule associated cs counter Javier Zanetti their participation in Club World Championship. “If we win tomorrow we will qualify and we can relax a little and maybe could use that time for some further action and also the Club World Championship. It will be an important victory,” said Rafa on Soccernet. Inter will directly qualify for the Club World Championship semi-finals and will melakoni first match on 15 December. Final action will take place three days later championed by opponents to challenge the Italian League champion club is Internacional (Brazil). Inter other interests to qualify as soon as possible is also related to action-action they will face in Serie A. If you have secured a place in the last 16, Inter can concentrate fully when entertaining AC Milan on 14 November and travel to Lazio on 3 November. MANCHESTER – Rio Ferdinand will not take part in the provision for the Group C Champions League face Turkish club Bursaspor, Wednesday (11/3/2010) early days. Defender 31 years did not participate in the Manchester United entourage toward Turkey, although the team had time to undergo training sessions. Unfortunately, the stronghold of the Red Devils have not provided a description why Ferdinand is not included in the game this time. England captain appeared for 90 full minutes to silence when the Red Devils Tottenham Hotspur 2-0 at Old Trafford last weekend. This incident no doubt raised again speculation surrounding Ferdinand’s back injury. Young defender Jonny Evans is also not included in the entourage United. 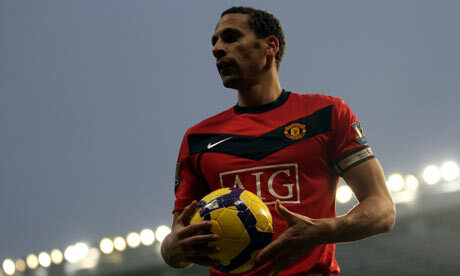 As a result, Wes Brown likely will accompany the captain as a central defender Nemanja Vidic. United are still entrenched in the top of Group C standings with a collection of value 7, or two points adrift of the giants of Scotland, Glasgow Rangers. Raihan three points in Bursa Ataturk Stadium will pave the foster children move Sir Alex Ferguson towards the next round. Naples – With a line of young players in the line-up, Liverpool’s goalless draw against Napoli. Roy Hodgson was satisfied and gave praise to Jonjo Shelvey et al. Shelvey only one of a series of young players who descended Hodgson at the match in San Paolo, on Friday (22/10/2010) pm dawn, it. In addition to the 18-year-old midfielder, Hodgson also lowered Martin Kelly, David N’Gog and Jay Spearing. All four played since the beginning of the fight, and some senior players like Joe Cole and Fabio Aurelio kept Hodgson on the bench. While Steven Gerrard was not in the squad altogether. The coach then be satisfied with their appearance in the field. “Many players like Jonjo Shelvey play well and we did it in the middle of a heavy atmosphere.’s Always difficult to come and play in Naples,” said the former Fulham manager was on the official club website. “Tonight we should be satisfied with the results after playing with the good. 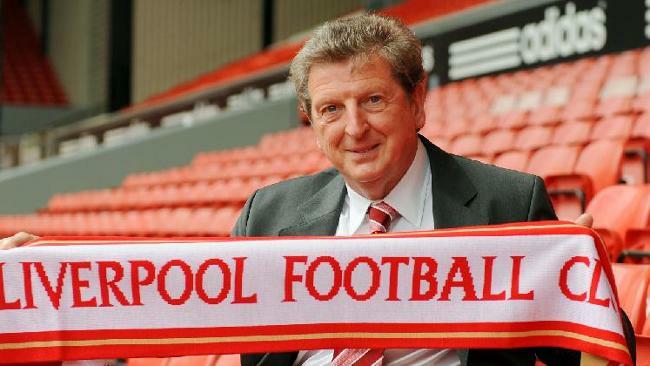 I think we deserve it,” said Hodgson. Results 0-0 against Napoli did not alter the position of Liverpool in Group C Europa League. The Reds still lead the standings with five values, the results of one victory and two draws. Manchester – Tottenham Hotspur again failed to beat Manchester United after a 0-2 at Old Trafford bent. Kubu The Lilywhites agree that Mark Clattenburg deserve their “hostile”. Clattenburg is the referee who led the match on Saturday (30/10/2010) evening. He made the controversial decision to authorize Nani scored on 84 minutes. The decision was awaken old wounds Spurs on the same figure five years ago. In January 2005, in the face of Manchester United is also in the same stadium, Clattenburg did not declare a goal of incidents in 89 minutes! At that time the Spurs midfielder Pedro Mendes shot from the middle of the field of speculation. Goalkeeper Roy Carroll is still able to catch the ball but later released. The round leather rolling into the goal, far over the line before Carroll driven out. And Clattenburg did not see it as a goal. Spurs are still ok, resist host the series 0-0. “Look deh reaction (Darren) Fletcher. He’s even been told Nani back into position to defend,” lamented the Spurs manager, Harry Redknapp, the latest controversy, as published official club website. Clattenburg (36), the other is an expert electrical work, has sparked another controversy on October 20, 2007, in the Merseyside derby. From some questionable decisions, one of which is when he drove Tony Hibbert Everton player since “influenced” Liverpool midfielder Steven Gerrard. At first he is merely giving a yellow card on Hibbert, but after approachable and “chat” with Gerrard, he instantly turned it into a red card. Next he was cast out Dirk Kuyt as too high lift his feet as “attacking” Phil Neville. Top of the controversy is a penalty claim rejected when Clattenburg Everton in the third minute of injury time, after Jamie Carragher dropped Joleon Lescott in the box forbidden. At that time Liverpool was leading 2-1. From the game Clattenburg convicted of leading the match suspension next week, and never again was given the task of the party umpire involving Everton. Barcelona – David Villa became one of the players who steal the show as Barcelona crush Sevilla before dawn. He re-recorded his name on the scoreboard after a month of “absent”. Having purchased expensive earlier this season, Villa are expected to be able to become an engine for a new goal for Barcelona. However, the players seem to not fully able to meet these expectations. Before this, the new Villa resulted in two goals from seven penampilanya in local arena. When combined with his appearance in all competitions, the former Valencia only collecting four goals. The last time Villa managed to score against Rubin Kazan in the Champions League. But it happened more than a month ago. However, the Villa goal famine seems to have ended in the eighth game in La Liga following the donation of two goal during Barca’s slaying Sevilla 5-0. At the same time increasing the number of his tally to six in 12 matches in all competitions. Guardiola admitted very happy with this. “We are very happy for David, he deserved it. It had a record player in Spanish football history, goals flowed in his blood,” continued the coach. Praise is also posted by the club president Sandro Rosell. No need to doubt the quality of a Villa. “Pep Guardiola said the Villa goals will come and it’s true,” said Barca president Sandro Rosell to the U.S. after the game. 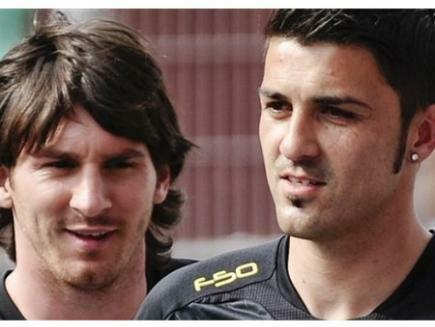 “David Villa is always played well but the main goal scoring but he’s not helping his team.